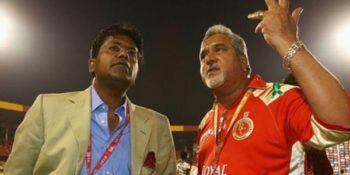 Former IPL Chairman Lalit Modi has made a sharp attack on the Union Finance Minister Arun Jaitley and has accused him of lying on Vijay Mallya’s claim of having met him before leaving India. 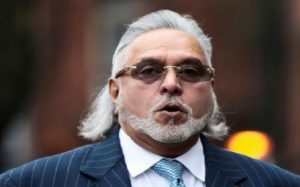 Modi asked Jaitley to accept that he met Vijay Mallya on March 1, 2016 – a day before he left the country. ‪Modi took to his Instagram page and wrote a short message accusing Jaitley of lying and also called him a ‘snake’. “The denial by @arunjaitleyofficial whether he met #vjm just before he left is completely #untrue. He met him. He discussed. Let him just accept he did”, Modi wrote from a foreign land. ‪The denial by @arunjaitleyofficial whether he met #vjm just before he left is completely #untrue. He met him. He discussed. Let him just accept he did. Why such a #denial when a lot of people know he met and who else was present. #arunjaitley it’s become a #habit to #lie. What else can u #expect from a🐍‬. If the #snake does not admit it – the next salvo will prove he did. So better #snake @arunjaitleyofficial u answer – stop your nonsensical #denial and behave for once with a little #dignity. #god will teach u a lesson soon. So #habitual #liar make #peace on #earth before time runs out. As it does for all of us. Only thing is you were never a good lawyer or cricket administrator and at worst the only #politician who never won his owns seat. So wake up. Tell the truth. Forgot the #worst #finance #minister one has seen. “Why such a #denial when a lot of people know he met and who else was present. #arunjaitley it’s become a #habit to #lie. What else can u #expect from a🐍‬. 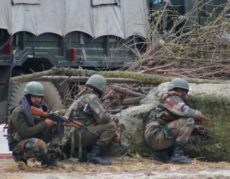 If the #snake does not admit it – the next salvo will prove he did. So better #snake @arunjaitleyofficial u answer – stop your nonsensical #denial and behave for once with a little #dignity. #god will teach u a lesson soon”, he further wrote in his post. Modi said Jaitley is a habitual liar. “So #habitual #liar make #peace on #earth before time runs out”, he said. He concluded by saying that Jaitley was the worst Finance Minister one has been. 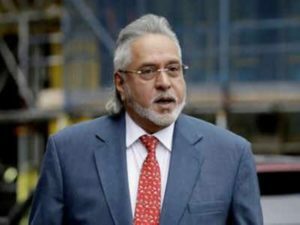 Fugitive business tycoon Vijay Mallya, wanted in India for his alleged role in a multi-crore bank loan fraud case, on Wednesday had dragged Finance Minister Arun Jaitley into controversy by claiming that he met him before he left the country in 2016, which the minister had called “factually false”.